-To achieve maximum USB 3.0 performance, your computer system, peripherals, cables and software should all support USB 3.0. 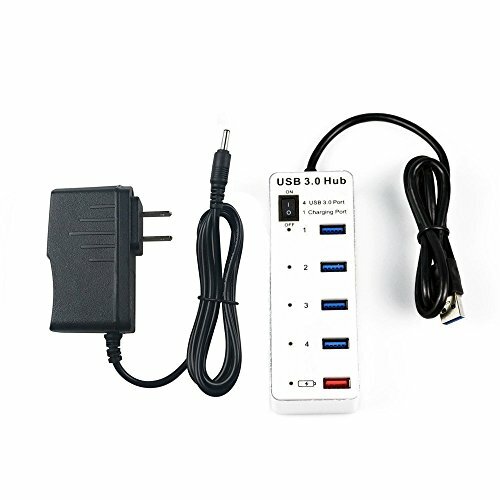 When connected to a USB 2.0 port, it only operate at USB 2.0 speeds. -Some USB 3.0 devices and 2.4G wireless devices(wireless mice, wireless keyboard etc.) requires a direct connection to host USB 3.0/2.0 port may not compatible with this product. Please using USB 2.0 connection. -Power Usage: For a high power - consumption devices stable connecting, we strongly recommend using included DC Jack Power Cable to connect one 5V2A external power adapter. If you have any questions about this product by BOLWEO, contact us by completing and submitting the form below. If you are looking for a specif part number, please include it with your message.